The Dolpo is an inner Himalayan range, a restricted area and officially opened for foreigners in only 1990. 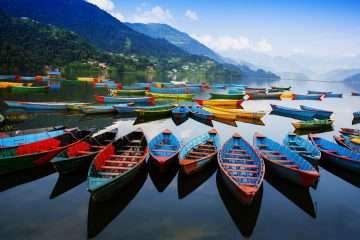 Dolpo is the most prominent district of Nepal and covers a large number of the surface of the land. The region is the rain-shadow region and expands the areas with Tibet border. This area is declared as a restricted area due to the Khamba tribe. They were using the inner Himalayas of Nepal against China because of its remoteness. 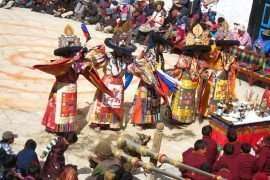 The Lower Dolpo trek is rich in a culture of Tibetan Buddhism. Lower Dolpo trek is considered as wild trekking destination whereas hard to find settlements and villages in overall. The magnificent Himalayan range and adventure passes are rewarding — the Numa-La and Baga-La pass offer not same but equally gorgeous sights for the trekkers. The Dolpo region does not only consist of beautiful landscapes but comprises many endangered species also. Besides that, the people and their vibrant culture are unique around the Lower Dolpo trek. 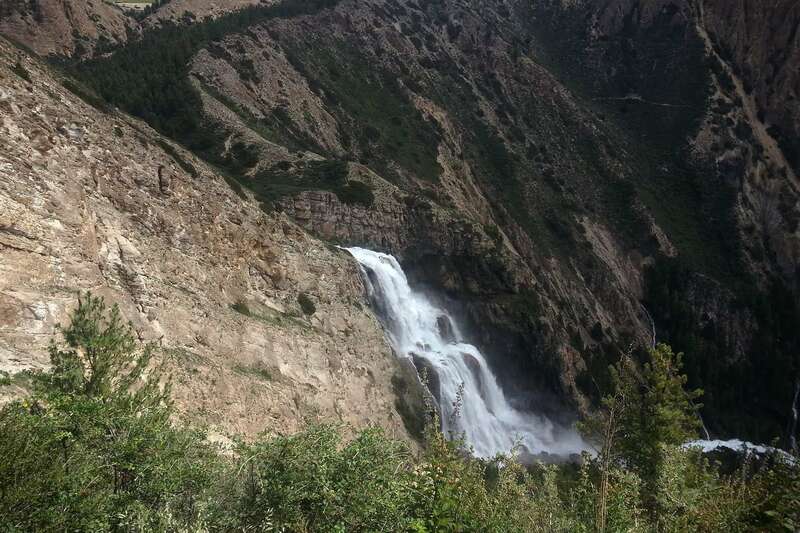 Moreover, the Lower Dolpo trek combines two passes over 5000 meters. 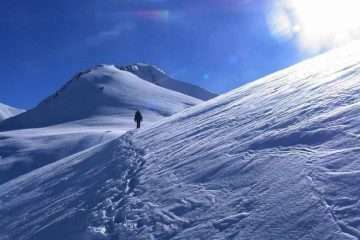 But it requires good physical condition and mountain experience. The Lower Dolpo is an exploration circuit so that one can experience their traditional medical practice. A new path has been constructing to the Phoksundo Lake because of the trail confluence with Thulo Bheri River. There is not a lot of campsites and local tea houses although a new trail provides easy access to Nepal’s highest waterfall and dramatically clear waters of the Phoksundo Lake. 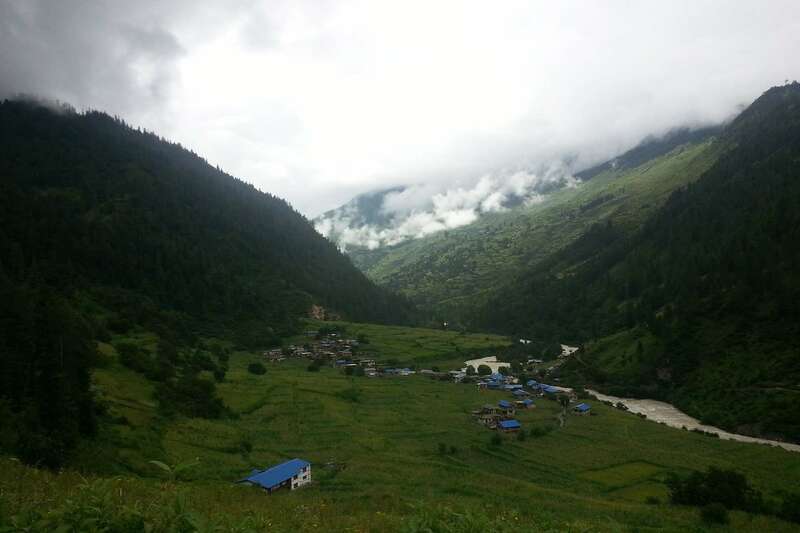 The Lower Dolpo Trek is ideal for those people who are seeking adventurous and very suitable for trekking during the monsoon season. Kathmandu to Nepalgunj, it takes about an hour by a plane which is the border with India. It is one of the major city of Nepal and access of Mid-western Nepal including the remote area of Humla. Day 4: Nepalgunj to Jhupal (2,320 m) and trek to Dunai (2,850 m) 3h00 walk. It requires making a fight in Juphal in the morning. Forty-five minutes amazing flight provides super visibility of Himalayan foothill, with views of Annapurna and Dhaulagiri mastiff. After reaching in Juphal and arrange luggage and other kinds of stuff then an easy walk to Dunai. Day 5: Dunai to Tarakot (2,543 m): 6h00 walk. 2nd day of the trek, the trail goes along the river and uphill toward a fine trail. A fantastic gorge with dense pine forests along the path. Finally, we reach a picturesque village of Tarakot. The trail gradually goes uphill path along the stream, crossing over the bridge in the same stream and left the river then the way leads the cultivated fields. Making some ascend and descend to reach Laini odar. Day 7: Laini Odar to Nawarpani (3,545 m) 5h00 walk. As usual as after the breakfast, the trail leads continue uphill walk along the gorge of the Tarap River. It is a real experience of remote areas while you feel along the trail where you have to jump up one side to another side to cross the River in a narrow belt. Day 8: Nawarpani to Do Tarap (4,090 m) 7h00 walk. This is an opportunity to explore the wilderness of Tarap Valley dominating Tibetan people from Bon religion and their monasteries and spectaculars views of mountains. 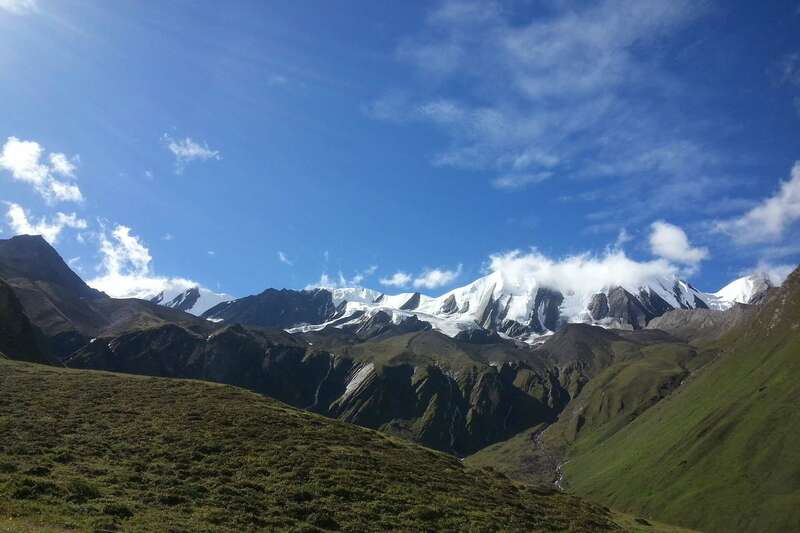 Day 10: Dho – Tarap Numa La Base Camp (4440 m) 6h00 walk. A good and unforgettable moment at Dho – Tarap, the journey leads you upper Tarap Valley which combines flat and green scenery on both sides of the river. And finally get in Num-La base camp by passing some monasteries along the trail of Tarap Valley. Day 11: Numa – La (5,190 m) and camp at Pelung Tang (4465 m) 6h00 walk. 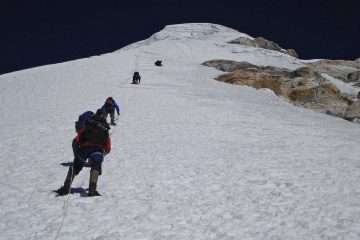 The trail goes gradually climb up to the pass of Num-La at 5,190 m. on the ridge of Num-La with amazing views of barren landscapes of the Trans-Himalayan of Dolpo and Dhaulagiri. This day is one of the adventurous and difficult days during the trek, then descend to Pelung Tang. Day 12: Cross Baga – La (5,070 m) and camp Dajok Tang (4,080 m) 6h00 walk. Day 13: Dajok Tang to Phoksundo Lake (3,600 m) 3h00 walk. Today, easy descend along the barren yak pasture and shrubs of alpine vegetation along the trail slopes down to Phoksundo-Lake. Day 14: Rest Day Phoksundo Lake! Today is rest for the long walk in the trans-Himalayan and have an opportunity to explore the Alpine Phoksundo-Lake and Tibetan Buddhist monasteries. 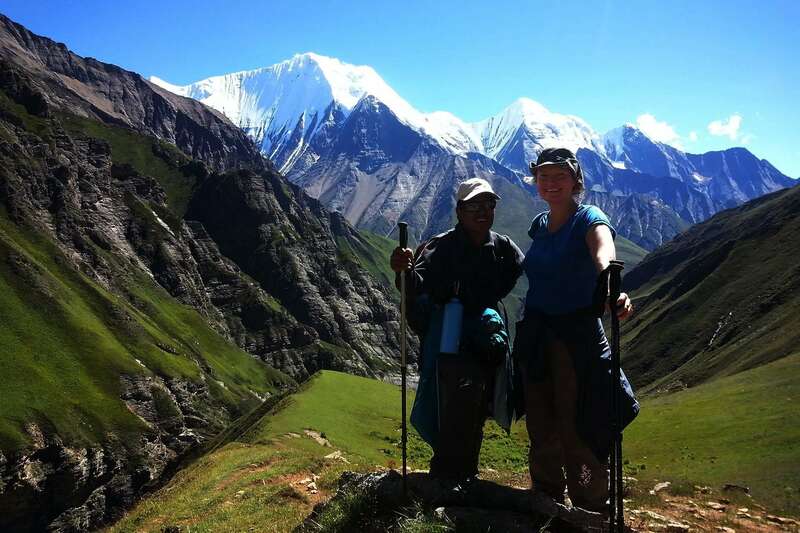 Day 15: Phoksundo Lake to Chhepka (2520 m) 6h00 walk. 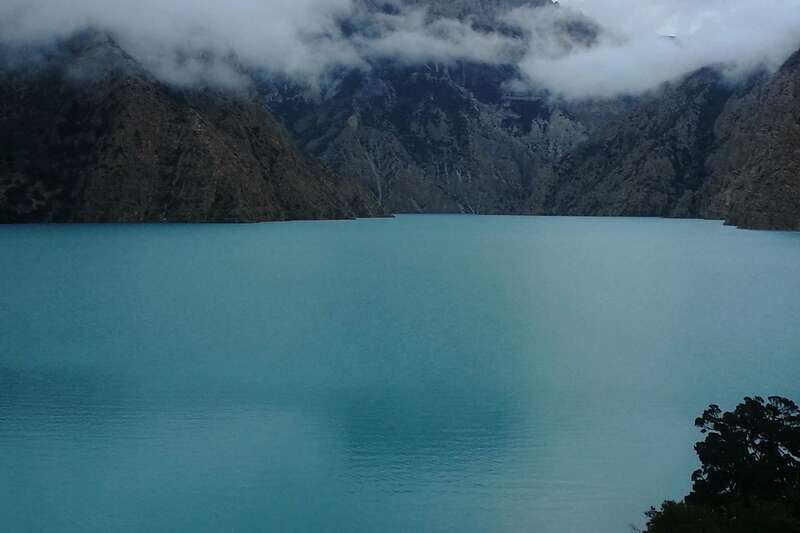 Explore the Alpine lake of Phoksundo keeping it in mind then easy descend to Chhepka passing by small settlements, medical herbs, traditionally using medical attention in Dolpo and called AMCHI. Day 16: Chhepka to Jhupal 6h00 walk. We continue to descend toward Shulighat (Checkpoint of Shy-Phoksundo National Park) then cross a Bheri River gradually climbs up to Juphal. Day 17: Fly to Kathmandu via Nepalgunj. In the early morning, we take the flight to Nepalgunj then catch up next available flight to Kathmandu. The day can be occupied as security day in case of flight interruption. Alternatively, you have a chance to explore the Heritage site of Kathmandu if you arrived in schedule itinerary. DEPARTURE TIME Please, report at least 3 hours before the flight. Prices are quoted and payable only in (US$ dollars). All the published prices on our website set as low as possible. The Prices may vary at any time due to currency fluctuation, fuel prices, and unforeseen economic circumstances. But, we guarantee our prices which already signed up for your tour. Please consult us for a custom quote.